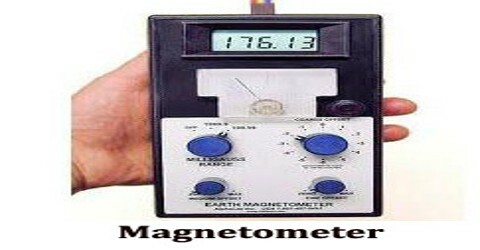 Magnetometer is an instrument for measuring the magnitude and direction of a magnetic field. 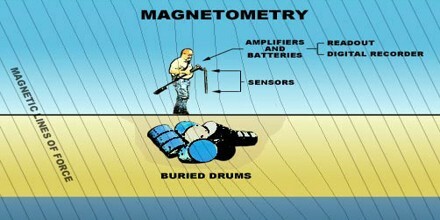 Magnetometers are often used in archaeological and geological investigations to determine the intensity and direction of the Earth’s magnetic field at various times in the past by examining the strength and direction of magnetization of ferromagnetic materials in different geological strata. Magnetometers are used to measure the strength of the magnetic field and in some cases direction of the field. These come under scientific instruments. 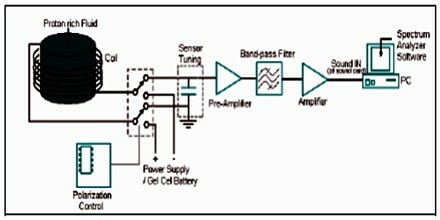 A sensor which is attached to this device measures the flux density of the surrounded magnetic field around it. Since the magnetic flux density is proportional to the magnetic field strength so the output directly gives the intensity or strength of the magnetic lines. Earth is surrounded by the lines of flux which vibrate at the different frequencies depending on the locations. Any object or anomaly which distorts this magnetic field is detected by magnetometer. Magnetometers have been miniaturised to the extent that they can be incorporated in integrated circuits at very low cost and are finding increasing use as compasses in consumer devices such as mobile phones and tablet computers. Magnetometers are not just magnetic field measuring devices. These are used as metal detectors as well. Not all metals though, just the magnetic or ferrous ones. 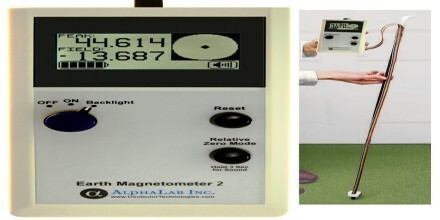 A metal detector for example, can detect a car at about two meters, whereas a magnetometer can do the same for tens of meters. Magnetometers are divided into two basic types: scalar and vector manometers. Scalar manometer measures the scalar value of the magnetic flux intensity with very high accuracy. These are again differentiated as proton precession, overhauser effect and ionized gas magnetometers. A vector manometer measures the magnitude and direction of the magnetic field. These are divided into various types as rotating coil, Hall Effect, magneto resistive, fluxgate, search coil, SQUID and SERF magnetometers. It uses the nuclear magnetic resonance (NMR) to measure the resonance frequency of the protons in a magnetic field. This also works on the same principle of proton precession type but in place of the solenoid a low power radio frequency signal is used to align the protons. This comprises of photon emitter light and vapor chamber filled with the vapors like cesium, helium, and rubidium. When the atom of the cesium encounters the photon of the lamp, energy levels of the electrons are varied at the frequency corresponds to the external magnetic field. Absolute magnetometers measure the absolute magnitude or vector magnetic field, using an internal calibration or known physical constants of the magnetic sensor. Relative magnetometers measure magnitude or vector magnetic field relative to a fixed but uncalibrated baseline. Also called variometers, relative magnetometers are used to measure variations in magnetic field. The fluctuations in the magnetic field results to the flow of electrical currents and the changes in voltage due to this current are measured and recorded by the magnetometer. Ever since the development of the first magnetometer back in 1833, it has gone through many changes. 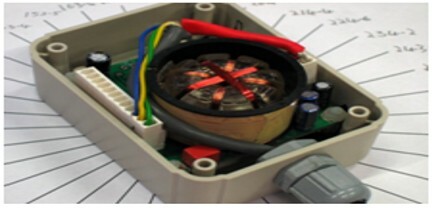 It is an instrument with a sensor that measures magnetic flux density (B) in Tesla or As/m2. Magnetometers refer to sensors used for sensing magnetic fields or to systems which measure magnetic field using one or more sensors. The caesium and potassium magnetometers are typically used where a higher performance magnetometer than the proton magnetometer is needed. In archaeology and geophysics, where the sensor sweeps through an area and many accurate magnetic field measurements are often needed, caesium and potassium magnetometers have advantages over the proton magnetometer. The caesium and potassium magnetometer’s faster measurement rate allows the sensor to be moved through the area more quickly for a given number of data points. Caesium and potassium magnetometers are insensitive to rotation of the sensor while the measurement is being made. The lower noise of caesium and potassium magnetometers allows those measurements to more accurately show the variations in the field with position.